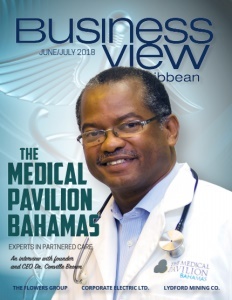 Business View Caribbean Magazine profiles Equipos Inoxidables del Norte, S.A. de C.V. (Grupo ACV) for our focus on the Mexican Aerospace Industry. A world-class provider of manufactured steel, stainless steel, and aluminum, Grupo ACV was founded in 1969 by the Cabello family and is still going strong in the hands of the third generation. The Equipos Inoxidables del Norte, S.A. de C.V. (EQUINOX) division was created in 1982 and has since evolved from manufacturing stainless steel products for the chemical, pharmaceutical, and food sectors, into specialized market niches in transport and maintenance, medical and healthcare, power generation, mining and construction, and oil and gas. EQUINOX is also a valuable provider for the Aeronautic and Aviation industry as a whole, and especially the Mexican Aerospace Industry, where the sky is literally the limit. Headquartered in Gomez Palacio, Mexico, with over 995,000 square feet of manufacturing floor space, the firm employs a large skilled labor force for its vast variety of business lines. 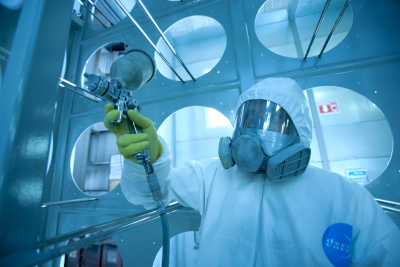 Main processes include cutting (laser, plasma, CNC), folding and rolling (CNC), assembly, fit up, machining (CNC), welding (specialized semi-automatic), in-house NDT (non-destructive testing), surface treatment sand blast, laser leveling, liquid paint, mechanical and electrical installation. Another specialty service is phytosanitary sterilization, performed by means of a thermal treatment in conformity with the IPPC (International Plant Protection Convention) on wooden pallets and containers for international commerce. EQUINOX also offers an ample stock of different types of materials for sale, whether leftovers or complete materials such as stainless steel, carbon steel, aluminum, polycarbonates, and bolts. The aerospace industry has strict regulations for related businesses, and EQUINOX is fully compliant – certified AS 9100D:2016 Aviation, Space and Defense. The certification is based on a standard published by the Society of Automotive Engineers (SAE) titled “Quality Systems-Aerospace-Model for Quality Assurance in Design, Development, Production, Installation and Servicing.” The AS9100 standard includes ASQ 9001:2008 requirements with additional requirements specific to the aerospace industry. A diverse menu of applications and capabilities makes EQUINOX the preferred source for filtration and vent systems, canopies for wind generators, screens and machinery for water treatment plants, control panels and cubicles for trains, magnetic resonance imaging for the healthcare sector, aluminum fabrications, industrial insulation, integrated solutions for power generation, control cabinets for drilling machines for the mining sector, clamps for oil and gas sector… the possibilities are endless. Grupo ACV is environmentally focused regarding its position in the metal-mechanical sector. It actively promotes the prevention and mitigation of the contamination derived from activities, products, and services; complies and follows-up with objectives and environmental goals; complies with all applicable legal requirements; and seeks alternatives to continually improve environmental performance. ISO 14000 is an International Standard whose objective is the administration of natural resources, hazardous waste management, and company interaction with the environment. Grupo ACV is Certified ISO 14001:2004 and has developed and implemented an Environmental Management System which contributes to the sustainable growth of the company to conserve and protect biodiversity, ecosystems, and the environment with the efficient use of resources and reduction of the generation of waste and emissions. Grupo ACV businesses are anchored in the trust placed on them by clients and in the markets they follow. Ethics and integrity are paramount, protecting information provided by clients and suppliers in the industry without any exceptions regarding their status. Company opinions and analytical recommendations are based on facts, independent research, measurements, and market tendencies. And all business with clients is protected by confidentiality agreements. The EQUINOX customer list reads like a who’s who of global leaders in the industry: Cullum Detuners, GTE, General Electric, American Air Filter, Siemens, Alstom, Alfa Laval, Freudenberg – all turn to ACV to fulfill their custom needs and precision specifications. Marketing and networking is accomplished at international industry events. Last year, Grupo ACV attended FAMEX 2017 (la Feria Aerospacial Mexico), and the Paris Air Show 2017. The Group is a member of FEMIA (Federation of Mexican Aerospace Industries), LAGUNA- an advanced manufacturing expert network focused on the aerospace industry, and a board member for the LAGUNA automotive cluster, Mexico’s Industry Supplier Chain, and Durango Competitive. Looking to the future, the company has several ambitious projects on the agenda: increasing its involvement in automotive and aerospace production parts; EN 15085 certification (railway vehicle construction); ISO TS1649 certification (for automotive production); and a new water jet cutting machine. 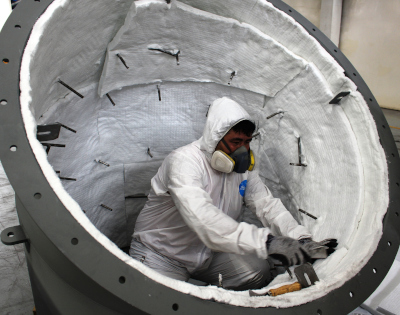 With an ever-expanding portfolio, flexibility, experience, and long-standing reputation for integrity, Grupo ACV Equipos Inoxidables del Norte, S.A. de C.V. is positioned for exceptional growth in the Mexican Aerospace Industry, and wherever future expansion plans take it. 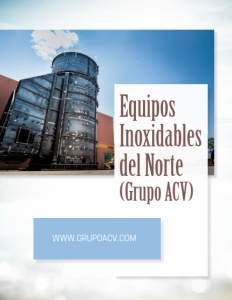 WHO: Grupo ACV / Equipos Inoxidables del Norte, S.A. de C.V.